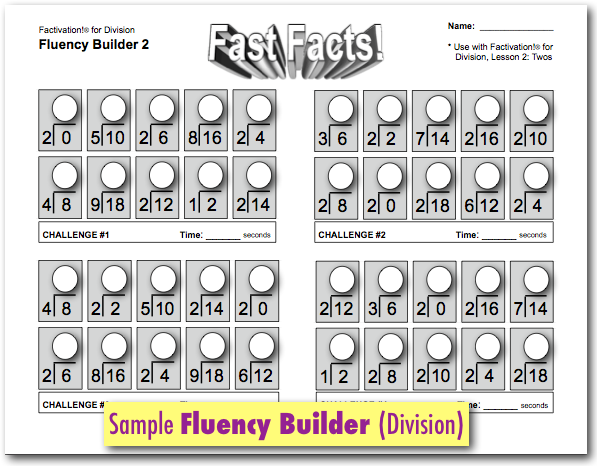 Description: Build fluency with this lesson’s Division facts! 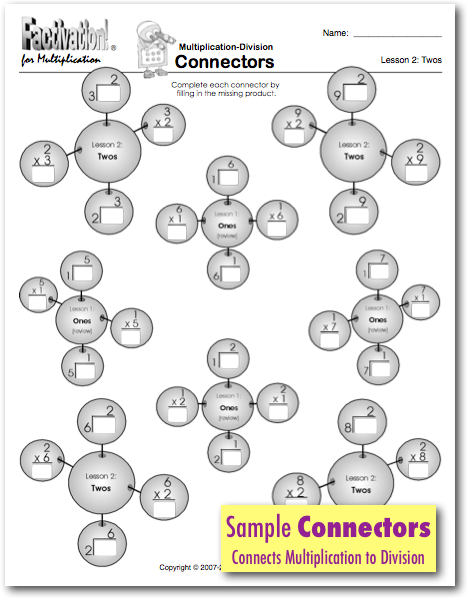 Teachers: Watch the 3-minute Fluency Builder tutorial for simple instructions on how to get the most out of this powerful, targeted activity. 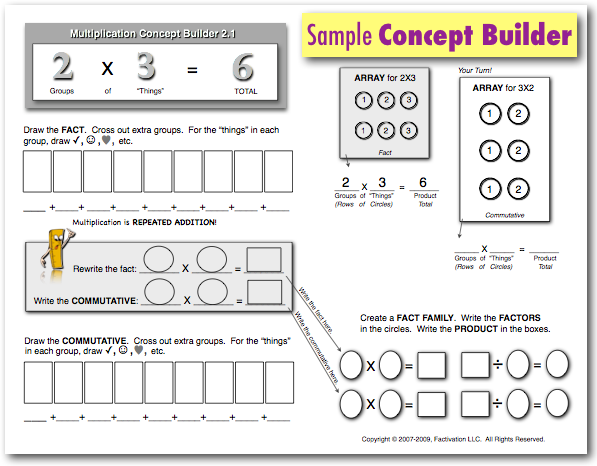 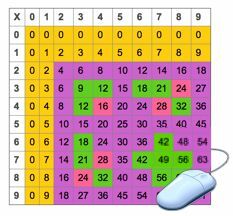 Description: Connect Multiplication and Division facts by building fact families with the Concept Builders for this lesson.